3:15 PM PST -- An official at the airline tells us Offset was removed after refusing to get off his phone. We're told he was loud, disruptive and began cursing. Offset from Migos just got kicked off a commercial flight ... and he claims it's all because he was talking on the phone. The rapper posted an angry vid Saturday going IN on American Airlines claiming he was removed from a flight just because he was talking on the phone before take off. Of course -- depending on where the plane was in its departure procedure -- Offset may have been violating the rules. A source says Quavo and Takeoff -- the other members of Migos -- were on the Dallas-bound plane too and stayed on after Offset was removed. 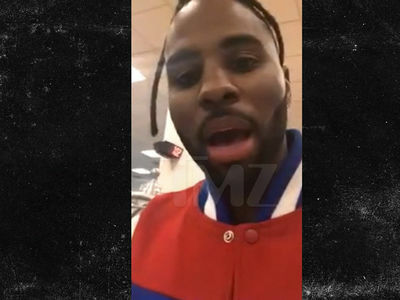 It's been a rough week for the airline, you'll remember, Jason Derulo claimed racism Wednesday after cops were called for a situation with his luggage. We've reached out to AA ... so far, no word back.